"Kiarostami represents the highest level of artistry in the cinema." Janus Films has unveiled the trailer for an experimental film titled 24 Frames, the last full-length feature project from the late Iranian filmmaker Abbas Kiarostami, who passed away in 2016. This first premiered at last year's Cannes Film Festival, and played at numerous other film festivals including London, Vienna, Busan, and Vancouver. 24 Frames is an experimental project made by filmmaker Abbas Kiarostami in the last three years of his life. It is a collection of 24 short four-and-a-half minutes films inspired by still images, including paintings and photographs. He shares a photo, then animates it in various ways, with birds or waves or animals or rustling trees. It's a very poetic, mesmerizing film and may connect more to those who are patient enough to appreciate the elegance. The final film from Iranian filmmaker Abbas Kiarostami is a wordless series of sketches elaborating on his lifelong fascination with photography. Consisting of 24 four-and-a-half minute sketches—each a digitally manipulated, fixed-frame view of a scene from nature—24 Frames allows the late Kiarostami to evoke the moments before and after a still image has been captured, and to explore the thin line between natural and artificial beauty. Largely absent of humans, and alternating between color and black-and-white, these poetic miniatures gradually come to life with subtlety, giving rise to the poignant and mysterious possibilities of the moving image. 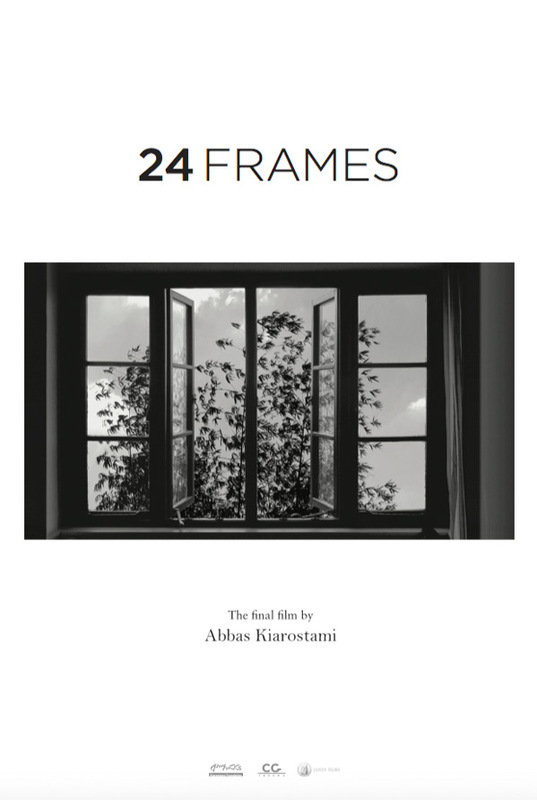 24 Frames is directed by the late Iranian filmmaker Abbas Kiarostami, of the films The Report, Where Is the Friend's Home, Close-Up, Through the Olive Trees, Taste of Cherry, The Wind Will Carry Us, and Certified Copy previously. This premiered at last year's Cannes Film Festival. Janus Films opens 24 Frames in select theaters starting February 2nd beginning at NYC's Lincoln Center.